A. Van Jordan's Poetry Suite 'M-A-C-N-O-L-I-A' Writer A. Van Jordan's latest poems imagine the life of MacNolia Cox, the first black finalist in the National Spelling Bee. In his book M-A-C-N-O-L-I-A, Jordan uses a variety of forms and voices to depict Cox's life in 1936. Hear NPR's Susan Stamberg and Jordan. Poet A. 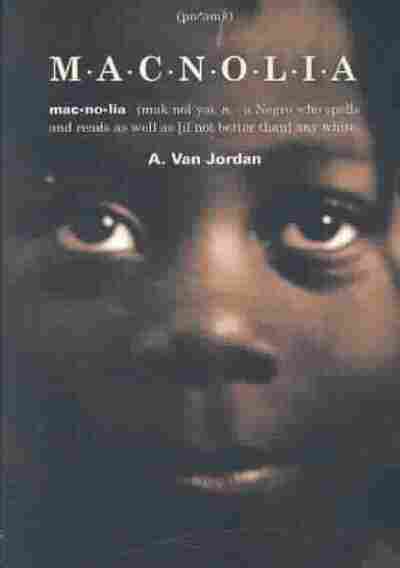 Van Jordan has written a suite of poems that imagine the life of MacNolia Cox, the first black finalist in the National Spelling Bee Competition. In his book M-A-C-N-O-L-I-A, Jordan uses a variety of forms and voices to portray Cox's life. The poems draw on blues, jazz and prose stylings to depict racism and the Depression, two elements that framed life in 1936. NPR's Susan Stamberg talks with Jordan, who is also a professor at the University of North Carolina at Greensboro, about his new book and the inspiration behind it.